No recipe this week - since we all just survived another successful Thanksgiving, we thought we'd take a break. We did want to share this list, which might trigger some nostalgia for those who have been at Grammy's dinner table over the years. 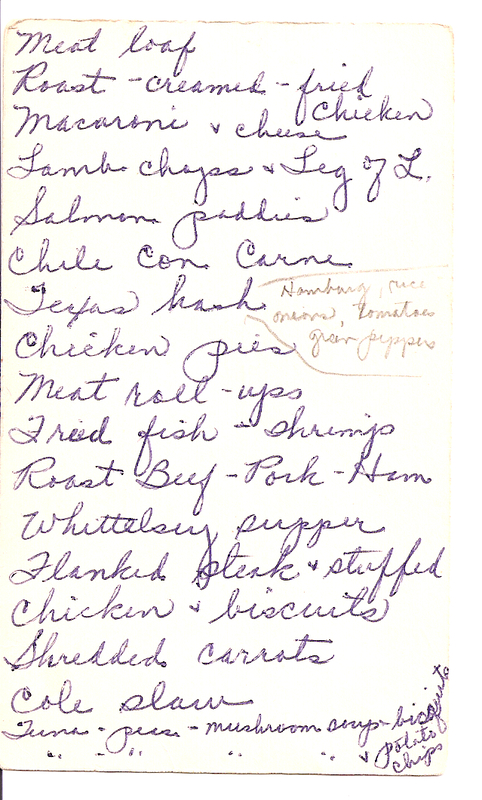 This was found in her recipe box, and is a list of some potential dinner ideas. 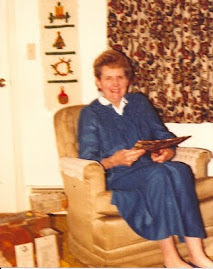 It includes everything from Meat Roll Ups to Whittelsey Supper. We just thought this was interesting. 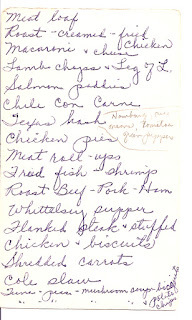 Many of the recipes are included in our recipe list to the right. From all of the Treats, to all of you, have a happy holiday season!